Possibly the UK’s top stage hypnotist for over 25 years! 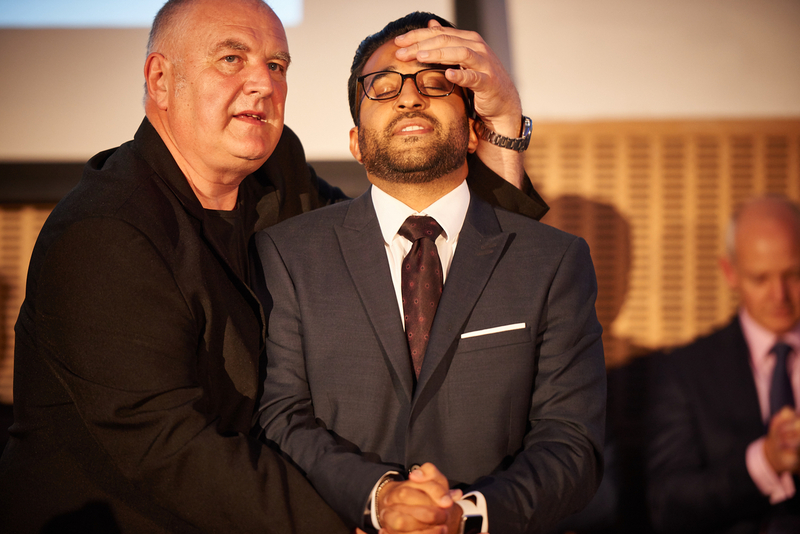 Adam Nights Comedy Stage Hypnotist Show has taken him all over the UK and Europe, working for most of the top names on the Corporate, Entertainment and University circuits. Adam’s fast and funny show is fully insured and always tastefully performed. When quality counts there is only one choice. This show may not be suitable for all events! Due to the nature of hypnosis, you cannot just hypnotise anyone and everyone, as some clients believe or expect. For a show to work well there needs to be a number of willing participants. This does not usually work well in client situations or with senior management, due to a reluctance to volunteer and join in. The comedy hypnosis show does not work well when used as ‘Surprise entertainment’, again, people like time to consider taking part in such fun. The comedy hypnosis show also requires a minimum of 40 min’s, preferably an hour to an hour and a quarter! This allows time for volunteers to be sought, hypnotised then perform some fast and funny, tasteful sketches in a fun hypnosis show! The show can be very suitable for Corporate events, Parties, Weddings, Conferences, Universities, military events or just for fun!